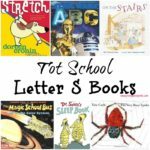 I originally created this Homeschool Totschool Preschool Planner waaaay back in 2014 when I was starting totschool with Cakey. Now, two years later, it’s time to start unoffical totschool with Doodles and unofficial preschool with Cakey. Man time flies! When did my babies get so big?! Anyway, with Doodles turning three in a few weeks, I decided it was time to dust off the ol’ homeschool totschool preschool planner for a new year. I updated this one just a little and now I have two versions for you. 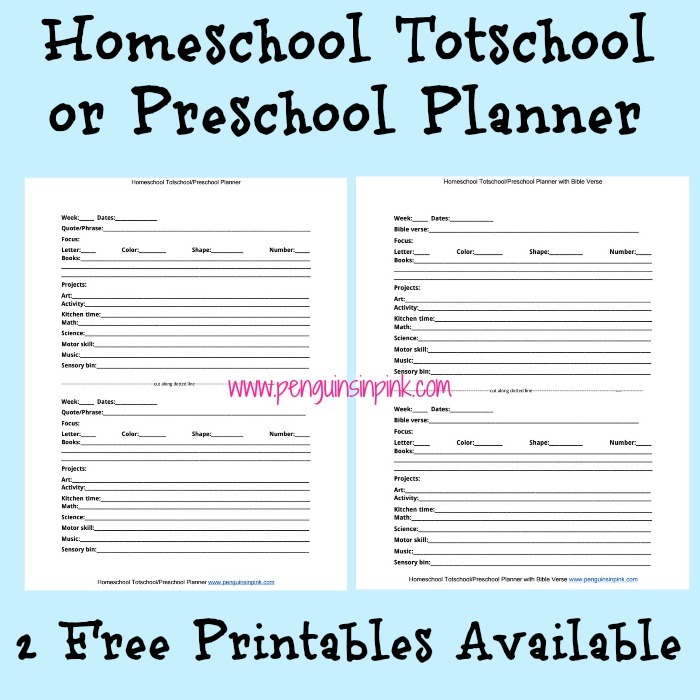 The first is the original homeschool totschool preschool planner that includes a place for a Bible memory verse. The second homeschool totschool preschool planner omits the Bible memory verse and instead has a quote/phrase space available. 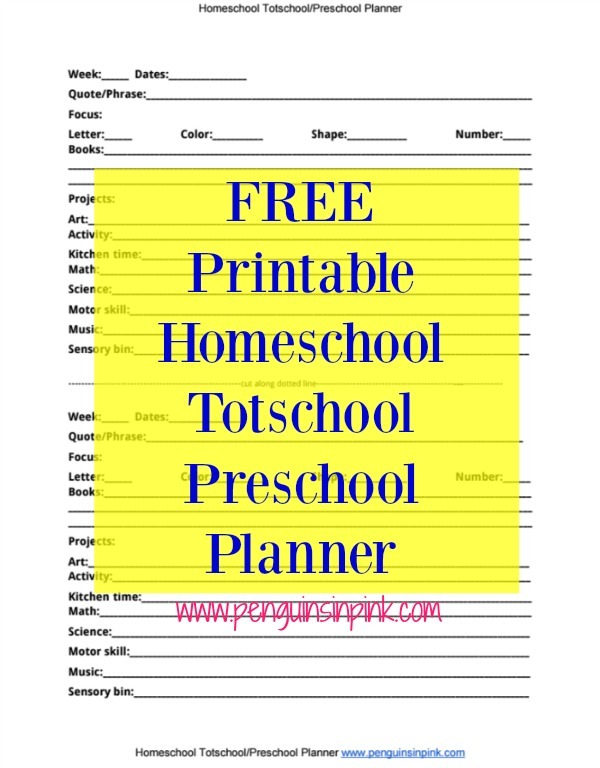 While I was typing up my weekly plan I thought some of you might benefit from having a very simple homeschool totschool preschool planner printable already done up for you. And I do mean simple! 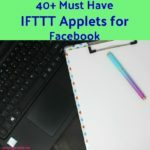 You can download the PDF with the link at the bottom. I printed the planner out, filled it in, cut it in half, and attached the half to a folder with all that week’s papers in it. Easy peasy! 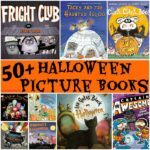 With a quick glance I can see what each week’s focus is for letters, numbers, shapes, and colors. I also know what activities we are doing that week. 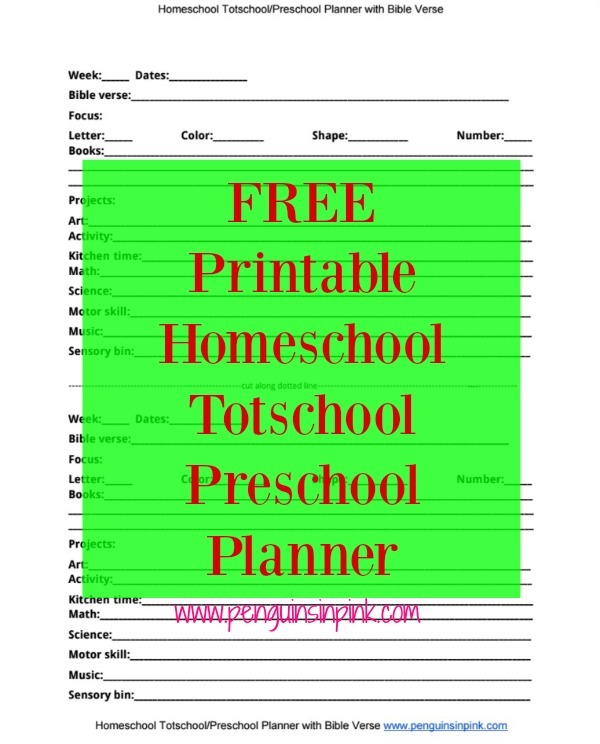 Anyway, I hope you find the homeschool totschool preschool planner PDF helpful. 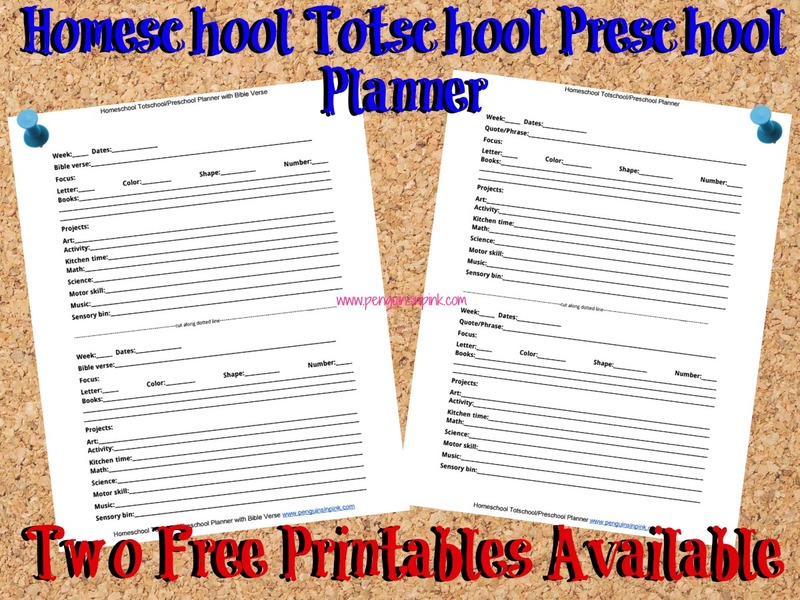 You can download the Homeschool Totschool/Preschool Planner with Bible Verse here via Dropbox or download the Homeschool Totschool/Preschool Planner here via Dropbox.